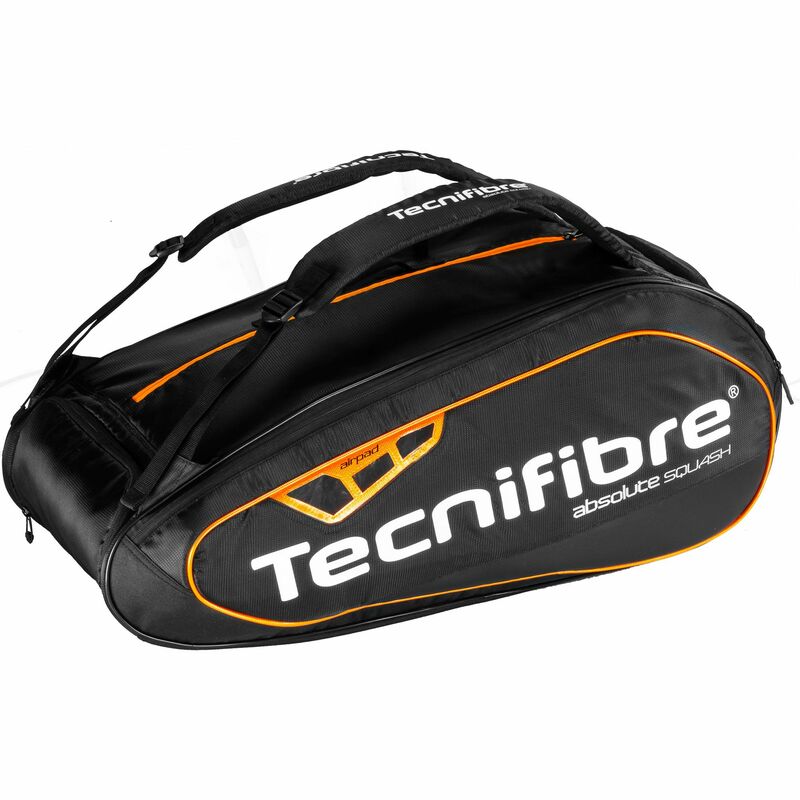 The Tecnifibre Absolute Orange 12 racket bag is made specifically for serious, competitive players who need a lot of storage space for their equipment and offers capacity for up to 12 rackets in its three large compartments. With a racket pocket that fits up to 5 rackets, a special airpad pocket for ventilation of your apparel after matches, as well as a visible garment pocket with green lining, the bag is suitable for those who are looking for functionality and maximum comfort when heading the courts. There are also 2 medium pockets including a pocket for footwear and an energy pocket great for a water bottle, fruits and energy bars. Thanks to 3 small pockets, you can securely store 3 balls, goggles and accessories, whereas carry handle and adjustable padded backpack straps provide comfortable carrying options. Got my squash and Racketball kit much more organised. Comfortable to carry as a backpack. Seemed quite a lot of money for a bag but I'm very happy with it. for submitting product review about Tecnifibre Absolute Orange 12 Racket Bag.